Goddamnit. The Big Boats of bountiful buoyancy have once more bashed beneath the waves. This is B.S., and a bummer. 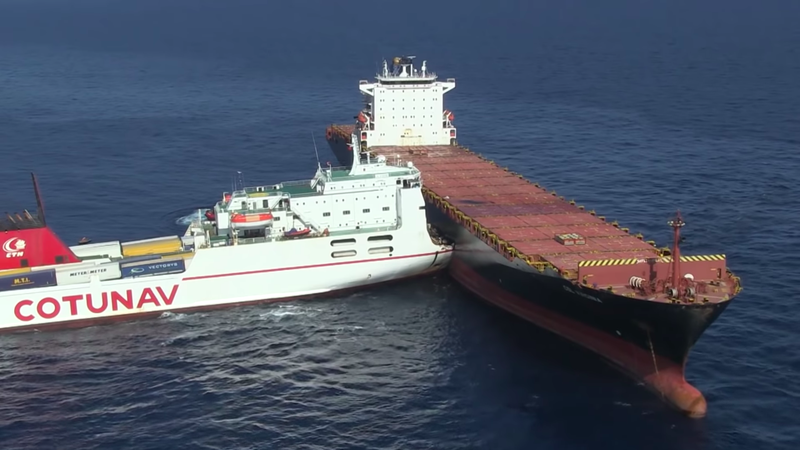 In this case, Big Boat 1 (a Tunisian roll-on/roll-off ferry by the name of Ulysse) struck Big Boat 2 (a Cypriot container ship by the name of CLS Virginia). 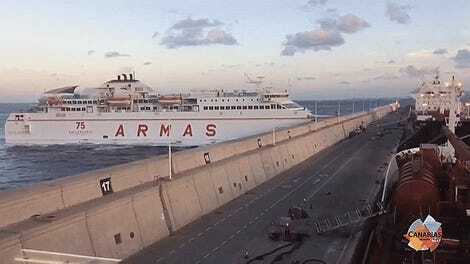 The coming together occurred of the Corsican cape on Sunday morning, as France3 Corsica reports. Big Boat 1 was heading towards Tunis from Genoa. Big Boat 2 was anchored. How the coming together came to be remains unclear. Oh great boat god, why must there be strife upon the seas? Extraction continues, both of Big Boat 1 from Big Boat 2, as well as the several dozen uninjured humans aboard. It is the French navy that is involved in the difficult matter of separating the two hulls. The first attempt failed. The second is seen on camera. Listen, now, and hear the creaking and squeaking of steel, backing out against other steel. It booms underwater. 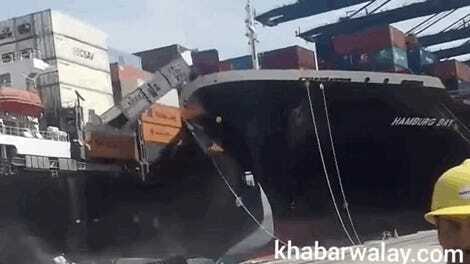 Big Boats, while they should be brimming with beneficence for one another, can come to blows. It’s not right. Nobody wants it. Boy! 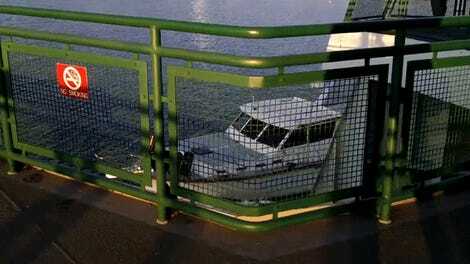 Boats have got to stop bustin’ up.